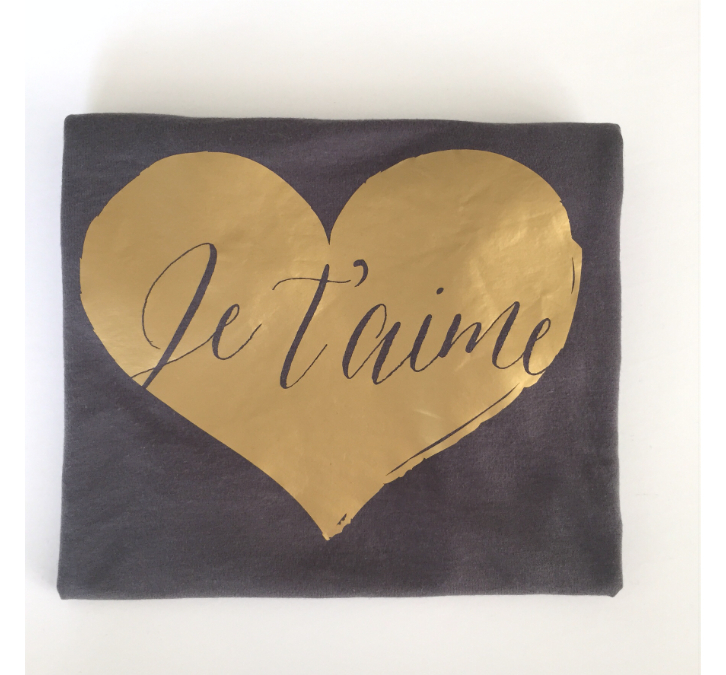 When we were planning the Paris Pop-Up Shop, Partners & Hawes came up with some designs en francais and when I saw the “Je t’aime” heart graphic, I knew exactly what I wanted to do with it! I’m a sucker for graphic tees….they look great on their own or under an open button down or cardi…and they can express how you are feeling that day! But, I’m also picky about my tees…they need to fit well and feel good too! 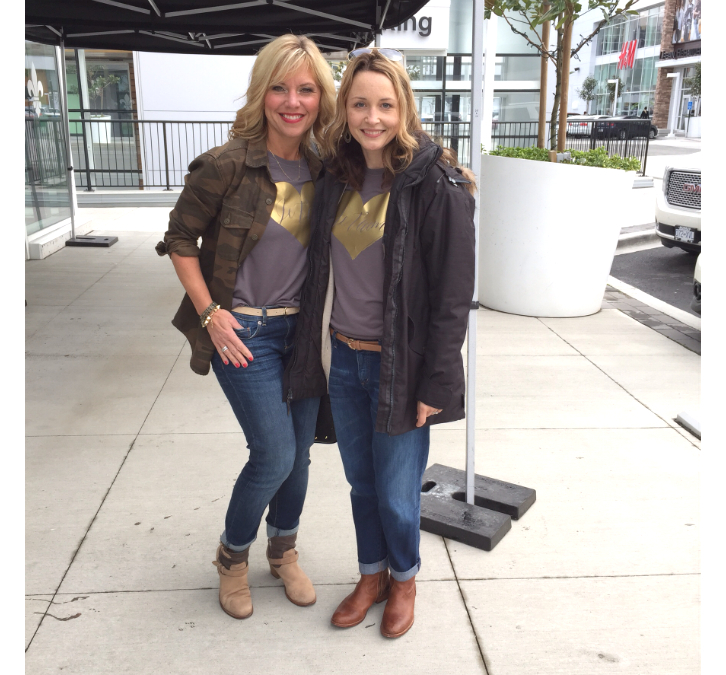 I met with our friends at Alliance Clothing Co. and picked out the perfect tee with a great feminine fit. It’s lightweight and drapes nicely. Colors were easy…gray…it’s my favorite neutral right now as it pairs well with warm or cool tones, and my current obsession with gold made the graphic choice easy. I was super pleased with the result…I’ve worn mine casually with jeans and also dressed up with a cream tutu from Beautulleful. And on the opening night at the Paris Pop-Up, all the Je t’aime tees sold out in half an hour…and during the rest of the pop-up we kept getting requests so we have a list of preorders! So, good news! 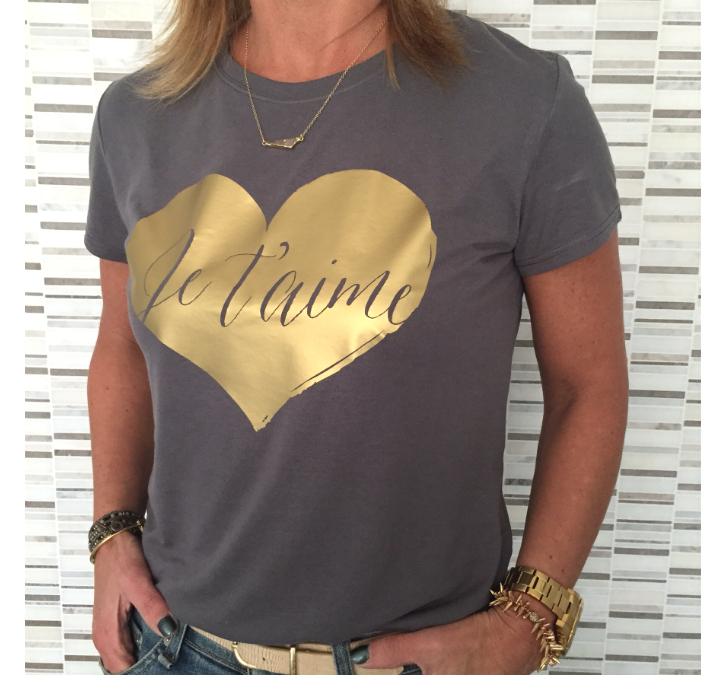 We have decided to offer a limited run of Je t’aime tees on our brand new online store! A couple of things to note….this tee fits small. You need to go up a size. I know that no woman, including myself, likes to do this, but a small fits like an extra-small…trust me! Care…wash the tee in cold water and hang to dry! Easy, right? It was so cool after the opening night at the pop-up to run into a happy customer at HighStreet wearing her tee! Click your size below to order yours today! 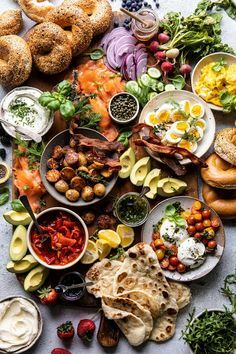 Spread the love…Je t’aime!